There are some who believe that LEGO is just for kids. These are typically parents, girlfriends, and people completely devoid of any sense of wonder. However, from the popularity of the dedicated LEGO subreddit, the sheer amount of creative Brickstagram pages and the fact that the LEGO movies have entertained adults just as much as kids, it seems that there is no age limit on enjoying the challenge of picking up a box and engrossing yourself in the build. Because of this, we have compiled a list of the 10 best LEGO sets for adults that you can spend hours working on without judgment from anybody. These sets are examples of the best and most immersive sets that LEGO has ever produced that you will be itching to get your hands on. Yes, all of the boxes might say Ages 11 – 16 Years, but when have you ever let a piece of cardboard tell you how to live your life? Take a look at start planning your Christmas presents early. Indulge in your inner Benny Spaceman with this meter-high build that recreates the wondrous feats of engineering by NASA and is entirely worth the hype. Considered by many to be the greatest LEGO set of all time, the Apollo Saturn V is an embodiment of how much LEGO has advanced over the years and leave many AFOLs (adult fans of LEGO) in awe of the intricacies of the build. From sleek white design to the many little treats that you discover during the build, this is the yardstick against all other sets that inspire both wonder and curiosity. Sold with an excellent price-to-piece ration that is a major selling point for many brickheads out there, the Apollo might not be the most complex LEGO sets for adults, but it is certainly one of the most rewarding. Despite it size, the set is still stable and durable enough to withstand moving it from table to shelf and will give you peace of mind when showing it off to other. 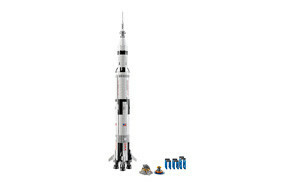 When it comes to the best LEGO sets, why no shoot for the moon and get your hands on the Apollo Saturn V? 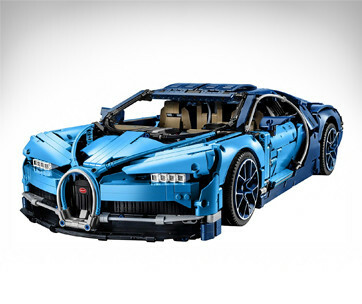 For more lego sets, check out our top Lego technic sets on the market today. This beautiful LEGO architecture set is the perfect addition for anyone who enjoys crafting constructions that are intended to last throughout the centuries and be recognized across the globe. Celebrating the world of architecture, the Statue of Liberty LEGO set is complete with a realistic color scheme, intricately designed pedestal and is accentuated with detailed columned balconies, a flowing gown and the golden torch that is an icon of the USA. The perfect gift for any lover of history or famous landmarks of the world, the Statue of Liberty LEGO set will provide a challenging but rewarding experience and will sit perfectly on any display shelf. While some builders have commented on the lack of detail, especially in the face, this does not detract from how marvellous and easy-on-the-eye this set is, just like Lady Liberty herself. Make sure you also check our Lego Castle Sets review, for more great items like this. 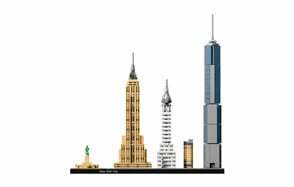 It’s the city that never sleeps and neither will you after completing this concise and cool LEGO architecture set that features all of the attractions of the New York skyline from the Statue of Liberty, to the Chrysler Building and, of course, the Empire State Building. Not as large as other sets in this list, there is still a lot to love for both New Yorkers and architecture fans alike. Some builders have complained that this set is not as detailed or large as they would have liked, but that doesn’t mean it isn’t worth a purchase and complements other sets in the Skyline range perfectly. For LEGO fans who love to build, but can’t always afford to splash out on the newest, most complex sets, this is a perfect and cheap option for when you want to scratch that LEGO itch. Building this lego set is almost as nerve calming as playing with a cool fidget spinner. A huge, huge, huge set that was selected as a Toy of the Year Finalist for 2018, the Pirates of the Caribbean Silent Mary LEGO set has been praised by both adults and kids alike for its attention to detail, immersive build experience and incredibly worthwhile price-per-piece ratio. The set features everything you could want from the spookiest ship on the seven seas with a hinged bow section, opening skeleton hull, moveable rudder and three masts that make it the most authentic ghost ship LEGO has ever released. For added detail, you will be treated to eight minifigures including Captain Jack Sparrow, Carina and Captain Salazar as well as two ghost sharks. Some builders have mentioned that the build process lags a bit in the middle, but the end product is well worth the wait, even if you might struggle to find somewhere to display it upon completion. The size of this big LEGO set might take up most of your weekend, but isn’t that the point? It also makes a perfect gift for boys that will keep them entertained. A must have for any fans of LEGO and Marvel, this LEGO Superheroes set is the Holy Grail of fantasy builds and will have even the most casual builders salivating at the prospect of its near-3000 piece experience. Complete with a variety of cool features including spinning rotors and designed-to-scale quinjets that pushes this set from merely great to truly bricking awesome, you might not have the space to accommodate this build, but you can worry about that later. Provided with Captain America, Hawkeye, Black Widow, Nick Fury and Maria Hill minifigures, as well as 12 microfigures to display on deck, you can recreate the excitement of the world’s finest secret organization battling the greatest threats to the planet. The set can be further enhanced by purchasing complementing 88000, 8883 and 8870 Power Function sets, which are sold separately. The intricate details of the sets interior is also something that sets it apart from (admittedly) cheaper builds and can just about justify the price, which tops out at nearly four hundred and forty bucks. Be sure to also check out our list of the top magnetic toys for more great items like this. Yet another example in a long list of awesome LEGO sets, the Star Wars TIE Fighter is a build that is like no other. Commanding a security and stability not found in other LEGO sets (there is always the worry that larger sets will succumb to gravity and butter fingers), you won’t have to worry about waking up to a pile of pieces scattered all over the floor. But it isn’t just the durability that makes this set one to crave, it has been designed with the utmost detail and rivals (and perhaps exceeds) some of the most creative MOC (My Own Creation) examples. Bringing an element of enjoyment to the building process (many have commented that it is not as complex as the infamous-but-no-less-brilliant Slave I), you can probably get this completed within a couple of hours if you really get down to it. It also comes with a stand that is as durable as the set itself. However, there doesn’t appear to be any place to seat the included TIE Fighter Pilot minifigure within the kit, but you can take this advantage to show it off proudly next to this comprehensive build. A suitable replica for one of the iconic Star Wars fighters, this is the perfect set for fans of the greatest space opera ever imagined. Our guide to the best adult card games features more fun options like this, so check it out! A lot of people, even the most ardent Star Wars and LEGO fans, are reluctant to put down the cash and take the leap to purchase this set which comes with over 4000 pieces and costs upwards of $500, but everyone who has taken the intergalactic leap waxes lyrical over just how worth it this purchase is. You might find it hard to justify spending so much on what many would consider a toy, but it is the experience from fitting those first pieces together to clipping the final brick into place that makes it so valuable. 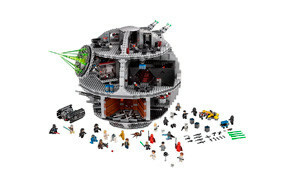 There have been a few previous Death Star sets manufactured by LEGO which are now discontinued, making this the only set to get your hands on if you want to spend the weekend or evenings ignoring the world (or galaxy) around you in putting this set together. Super-detailed, super-enjoyable and super-versatile, the set allows you to reenact scenes from the relevant movies and comes with Vader’s TIE Advanced Fighter as a nice little bonus. With over 20 minifigures, hours of construction time and a multitude of different operations, you can worry about the price later and just enjoy the process. If you get bored of board game nights, you can swich to Lego building nights with this cool set. 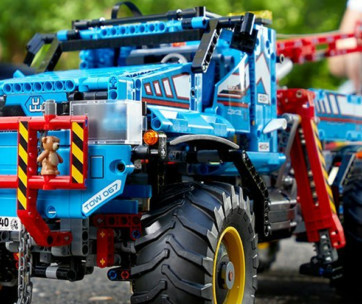 LEGO Technic sets are considered the more sophisticated of LEGO toys and feature a wide variety of challenging and cool builds that inspire both focus and ingenuity. The Technic Porsche 911 GT3 LEGO car is one of the most popular LEGO kits for adults which allows you to recreate the sleek, iconic appearance that has wowed supercar fans for decades. Designed with an authentic, true-to-life orange color scheme, suspension springs and working gearbox that changes the rotation within the vehicle, this set is one of the finest ever produced by everybody’s favourite brick construction company. A much more advanced build, the experience brings both enjoyment and complexity and its size will keep you busy for hours (it contains over 900 individual steps! ), so you will have an excuse to avoid any and all responsibilities that might be nagging at you, we all know that in these cases the build take priority. As an extra bonus for true car buffs, LEGO has also included a detailed special collector’s booklet that contains information about the history of the Porsche GT series and LEGO Technic. While on the pricier side (it will cost you nearly $400), this set demonstrates everything that is great about LEGO and why it is so adored worldwide. For more great options for the whole family, check out our guide to the best family board games. For those who have always dreamed of jumping in a fully-fitted VW, forgetting all of the responsibilities of the world and hitting the open road, the Creator Expert Volkswagen T1 Camper will help you live this fantasy vicariously through your minifigures. A replica of the classic 1962 camper van, this set comes with authentic features that includes the iconic ‘V’ color split, safari windshield, pop-up roof and folding furniture to deliver a detailed and accurate representation of one of the most famous vehicles of all time. The Camper can provide hours of enjoyment while not becoming too tedious during construction due to only (ha) having 1334 pieces. Despite this, there is still a challenge in building the set and it stands up well against the flashier and perhaps more attractive sets such as Star Wars, Marvel or Technic options. For a wholesome, inoffensive and cheaper LEGO car set that will still guarantee a detailed and engrossing build, embrace the power of the flower and get your hands on the VW T1 Camper. To fully satisfy your inner child, check out our guide to the top nerf guns for more great toys like this. For those unfamiliar with LEGO Ideas sets, these are creations that have been designed and voted for by the LEGO fan community and placed into production to provide something a little different to the branded sets that populate many toy stores across the world. The Old Fishing Store is one of these products, having obtained 10,000 votes in just six weeks, and has proven massively popular since its release. Designed with incredible detail even down to the smallest features, this set provides an enjoyable, interesting and satisfying build for adults that will make you wish there was more when you get to the end. Even for those who are not as into LEGO as the rest of us, they can still see the worth in this set that keeps surprising as the build progresses. As engrossing as any other LEGO construction kit out there, the Old Fishing Store takes most around 5 hours to complete without breaks and, once finished, keeps on giving with such a range of fun and quirky characters such as the Fisherman and seagulls for increased detail along with the many, many accessories that really bring the set to life. 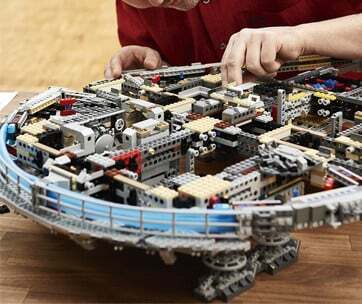 For convenience and extra features, the set has detachable and opening walls and roof to aid in easy access that, altogether, results in one of the most complete, fascinating and innovative LEGO sets for adults available. Liked this product? Then you will sure love some of the best puzzles for adults from our list. 4 minifigures provided: Fisherman, Fisherwoman, Captain and child plus a cat and three seagull figures.